Grab the gals for a day of shopping, rejuvenation and fun! Attention beauty addicts, get excited once again the Expo for Women’s Ultimate Ladies Day Out Celebration is bringing you the best home grown and international products, services and experts to help you to feel and look your personal best. In 10 short weeks the Gillespie Center in South Bend Indiana will be filled with women from all walks of life will be having fun at the 2014 Ultimate Ladies Day Out Celebration. The event is scheduled for Thursday, November 20th, 2014 from 2pm – 9pm. For 26 years the Expo for Women event has been highlighting local business in the Michiana community to help women become happy, healthy and wise. Over the years each spring the Century Center was packed with 5,000 attendees and 157 exhibitors offering a full range products and services. In 2013 Cindy Cohen RN, owner of C2 Your Health LLC the promoter of the Expo for Women introduced the Ultimate Ladies Day Out Celebration to the Michiana community. The Riverside Terrace in Mishawaka, Indiana provided an intimate setting for this “women only” event with 50+ exhibitors, 724 attendees and a new focus “Beauty Inside and Out.” The ladies day out proved to be a huge success. You might be asking yourself why would a wellness company promote a beauty inside out event? Because beauty is to the world a reflection of the health on the inside each of us experience. When you are healthy, you not only have beautiful hair and skin you feel confident in your ability to make positive changes in your life and the life of other women. Beauty is really an inside job! Experience the largest woman’s show of its kind. The Ultimate Ladies Day Celebration is a first-of-its-kind, large scale community event that brings women from all walks of life together in a fun, open environment to discover, and area nonprofits. .Attendees will treat themselves and their girlfriends to a fabulous day of shopping, food, beverage and product sampling, fashion shows, art, health and wellness demonstrations, rejuvenation services and more. Celebrate life as women at the Ultimate Ladies Day Out Celebration. It’s more than about how you look it’s about listening to other women’s experiences and sharing yours, positively impacting others and about raising awareness. What could be better than to empower other women to be their personal best? It’s really a day of beauty inside out from head to toe. Attendees relax, socialize and enjoy tasty delights or a cash bar, kick off their shoes and watch the hottest looks come down the runway during one of our high end fashion shows, or simply shop and take in the very best products and services Michiana has to offer. This event offers attendees everything they need to renew and energize their minds and bodies in a convenient, relaxing environment while supporting outstanding local businesses. Share something amazing with girlfriends. As a woman you often put our friendships in the back seat to all the other priorities in our life. We forget nurturing good friendships are important to increase our sense of belonging, happiness and improve self-worth. Did you know many experts say girlfriends are also great for reducing stress? And are an important source of support to help you cope with tough life situations such as illness or divorce. Beauty on the outside begins on the inside. Dance the day away and get fit too, health experts and wellness education. Is it weight loss you are looking for? New from the UK check out the Transform 30 Day Challenge, Whole Foods Market and healthy eating strategies. Be and look your personal best. You will find makeup, skin care, anti-aging treatments, makeover seminars, fashion shows, tips and techniques. Professional image consultants for a new you too. Looking to improve your personal presentation? Join Voice of Your Business speakers group while you are at the expo. Looking for the latest trends in fashion? Shop and support local designers, artists, boutiques and specialty retailers for jewelry, clothing and then there’s the fashion shows too. Let yourself go – relax and rejuvenate with all natural spa treatments, artesian soaps, and healing aromas. Coming to the Girls Night Out Happy Hours Celebration? After all, girls just want to have fun don’t they? Enjoy the expo and stay for the show. The nationally known Brick House Burlesque Dance and Review show will be performing and so will Chicago’s Dan Allen with DJ DA Mobile Entertainment will be providing the musical entertainment to set the mood for the festivities. While you’re there pick up your “Pink Lady” from the cash bar. We support those in our community who take care of you for a day and take care of women for a lifetime. Hello Gorgeous of Hope, Inc. provides complimentary, professional makeovers and cosmetic education to all women battling all cancers. Hannah’s House, maternity home with a heart and American Heart Association Go Red for Women BetterU – Michiana Makeover Challenge providing heart health strategies for women. Looks like the Expo for Women Ultimate Ladies Day Out Celebration is a full day of fun, food and fabulous events. To learn more about the event the website is www.expoforwomen.org. Look for them on Facebook and Twitter Expo for Women, #fabfall2014 #expoforwomen and the Expo for Women YouTube Channel www.youtubelcom/expoforwomensb. 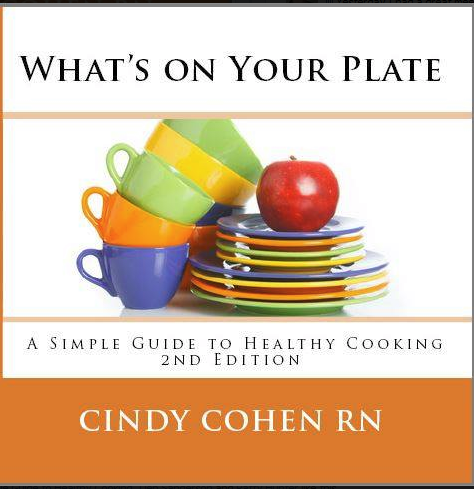 You can contact Cindy Cohen RN, www.CindyCohenRN.com find her on social media Cindy Cohen RN.